The object of this tutorial is to succintly present step-by-step instructions to setup of Docker on Mac OSX, CentOS Linux, and Windows. This is a more complex diagram than others so that interrelationships can be illustrated. TODO: Video to gradually reveal this. Click this for a pop-up containing a larger sized image. Each additional VM (virtual machine) instance would take several more Gigabytes of disk space and memory because operating system files are duplicated inside each VM instance. By contrast, Docker’s containers take a more lightweight approach. Docker aims to cleanly separate applications that need the same shared operating system read-only files. The Docker for Mac installer is downloaded from Docker’s website. It makes use of hypervisor software that doesn’t need Oracle’s Virtualbox previously needed. Docker for Mac makes use of a Hyperkit hypervisor which runs Docker images such as NGINX. Later Macs have Intel’s hardware support for MMU (memory management unit) EPT (Extended Page Tables) virtualization. Docker images are obtained from Docker Hub on-line or a more private and trusted image repository. Many images are visible searches within Docker Hub. That same container image can run on another platform unchanged, typically a GNU/Linux kernel such as Debian running on a commodity server within AWS EC2 cloud. Docker is designed with cloud computing providers in mind. The Docker Engine takes care of loading images and running them. It is installed from the package manager over the internet. 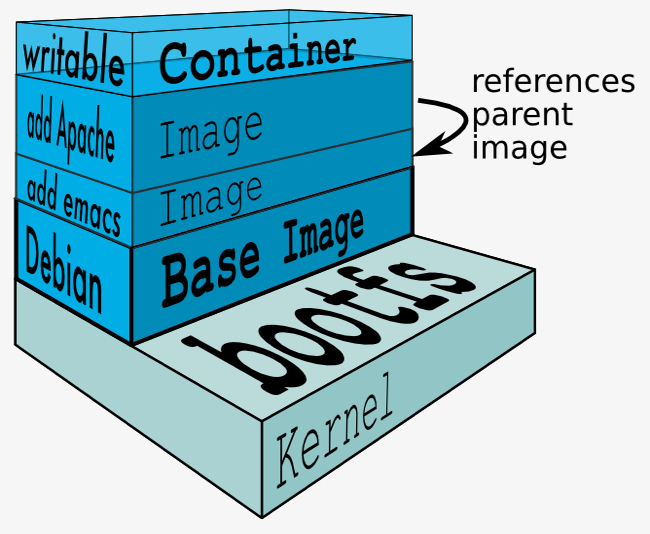 Docker is lighter weight because it provides the read-only portion of a Linux operating system to be shared among several images. Each image has its own bin and lib folders. Docker is also lightweight and thus more scalable because each image intends to run and watch one single process. SSH ports are not opened into images. A data volume outside the image is referenced to read private keys. Additional data volumes (such as InfluxDB) are shared for logging with an additional image. It receives stats collected by the cAdvisor image (from Google) and structures data for display in a Grafana dashboard. Images that go into container repositories are created by a build command in Docker for Mac and Windows. The build is based on source code for an app in GitHub having a Dockerfile and .dockerignore file. Docker for Mac was released in 2016 as a native app that keeps itself updated, so no Homebrew for it as with previous versions. This new version makes use of 64-bit processor in a 2010 or newer Mac, which has Intel’s hardware support for virtualization. The operating system is MacOS Yosemite version 10.10 or newer, such as El Capitan 10.11 or Sierra 10.12. Docker for Mac uses underlying software not in prior versions, so NO obsoleted docker-machine commands that load and manage images depend on the installation of Virtualbox by the deprecated Docker Toolbox. To recap, Docker containers are created using docker images, built by parsing a Dockerfile containing Docker commands. Each container runs as an isolated process on a shared kernel. The isolation mechanisms that keeps resources (CPU, memory, filesystem, network, etc.) of each process isolated from others is a Linux kernel feature CGroups (abbreviated from “Control Groups”) developed within Google. During PyCon on Friday, March 15, 2013. Solomon Hykes, the founder of Docker, gave a lightning talk on “The future of Linux Containers, delivered”. boycottdocker.org raises some technical concerns about Docker. CoreOS developed appc with a rkt (pronounced “rocket”) implementation in their Open Containers Initiative (OCI). The runC OS for spawning and running containers is built using Go v1.6+. CoreOS offers a Container Linux distribution, an upstream variant of Red Hat Enterprise Linux from projectatomic.io Atomic Host collection of distributions. open-source LinuxKit originated from Docker, inc. as a tool for building minimal custom operating systems, to host the Docker platform. Over the years, Kelsey Hightower - has updated his Kubernetes the hard way to use (instead of Docker) CRI-O, containerd, and gvisor. Other options include clearcontainers and katacontainers. Red Hat created quay.io container registry to compete with DockerHub. But the “other shoe has dropped” when RHEL Enterprise Linux 8 Beta introduces a new Container Tools module which consists of the podman-docker.noarch package to emulate Docker CLI. Other bits include Buildah to build OCI images and Skopeo to copy images. PROTIP: Docker was initially developed to run under different flavors of GNU/Linux, not FreeBSD. Different operating systems use different file-system software for union-mount. For example, Debian uses bootfs. Wikipedia notes aufs (Advanced multi-layered Unification File System) was rejected for merging into mainline Linux. Its code was criticized for being “dense, unreadable, and uncommented”. Instead, OverlayFS was merged into the Linux kernel. btrfs (B-tree File System) is intended to address the lack of pooling, snapshots, checksums, and integral multi-device spanning in Linux file systems. Docker Engine-Community only target Docker for AWS and Docker for Azure. Docker Enterprise uses Docker certified infrastructure tooling, using Terraform and Ansible to target VMware, Azure, and AWS implementations. PROTIP: The version of Linux that comes with Mac isn’t completely compatible with Linux. So an extra layer is needed to emulate a Docker host. That’s Boot2Docker. If you’ve previously installed Boot2Docker or Docker for Mac, uninstall it by deleting it within your Applications folder. Versions of Mac before Yosemite would need to use the now deprecated Docker Toolbox, which is no longer used. It depended on Virtualbox. If Virtualbox version 5.1.2 is installed, it can be left installed. Docs here says VirtualBox prior to version 4.3.30 must NOT be installed (it is incompatible with Docker for Mac). In Finder, within Applications, remove the Docker app and Docker folder. ==> Moving App 'Docker.app' to '/Users/wilsonmar/Applications/Docker.app'. Skip to Open Docker client app later in this doc. Docker for Mac was added 2016 for installing Docker on Mac OSX. It uses the HyperKit VM (“xhyve”, pronounced “x-hive”) to virtualize the Docker Engine environment. That technology requires OS X 10.10.3 Yosemite or newer. Scroll down to “Get Docker CE for Mac (stable)”. Click “Get Docker for Mac” to download Docker.dmg to your Downloads folder. PROTIP: Change the file name if you’re keeping back versions. If you prefer, navigate in Finder to your Downloads folder to find the Docker.dmg file. Double-click on Docker.dmg to open it. In the pop-up, drag and drop the “Docker.app” whale onto the Applications folder. Click Replace the previous version with the new one, if applicable. If the “Docker needs privileged access” pop-up appears, click OK and type it in, then dismiss the pop-up. Click outside the drop-down to dismiss it. Exit the “Drag and Drop” pop-up. Delete the Docker.dmg file within Finder (to reclaim disk space). In the Applications folder, under the Devices section on the left, press the eject icon to the right of Docker. In the Applications folder, click on the Docker.app. PROTIP: The Docker command line stores its configuration files in a hidden directory .docker within your $HOME directory (cd ~). Click “Open” if the pop-up appears. Click “Next” at the “Welcome to Docker for Mac!”. Click “OK” to the “Docker needs privileged access” pop-up. Provide your password when asked. PROTIP: If you are not a frequent user, click Preferences (or press command + comma) to un-check “Automatically start Docker when you log in” to avoid using up memory. Skip to verify Docker install below. Linux kernel-specific features for the Docker daemon. Alternately, Docker 0.8 or newer can be run on Macs thanks to a specially developed, lightweight VirtualBox VM. To start this, use the “quickstart terminal” which fires up Virtualbox. Native Windows images have been running within AWS EC2 clouds. But since Docker images containing Windows OS can run on other machines (such as MacOS and Linux), thir use would reduce testing and admin. effort. Create an Amazon user account (after using IAM to create it using an Admin account used for billing). --volumes-from is how data volumes are associated (for sharing). CAUTION: A 64-bit Windows machine is necessary to run Docker. Not 32-bit. Enable Microsoft Hyper-V necessary to run Docker for Windows. CAUTION: This renders ususable Oracle Virtual Box VMs running Docker Toolbox. Upgrade Windows 10 to at least the “Anniversary Update” 1607 (KB3194798) released October 11, 2016 or more recent. In Settings > Updates & Security > Windows Update > Update & Security > Check for Updates > Update. Ignore the installer “docker-machine”. It’s for an older version of Docker. Skip to verify Docker install. Click “Get Docker for Windows (stable)” (not the more volatile Beta). This downloads InstallDocker.msi (105 MB), typically to your account’s Downloads folder. Right-click file InstallDocker.msi to run (not just Save) the installer as Administrator. Authorize Docker.app with your system password when prompted, since privileged access is needed to install networking components, links to the Docker apps, and manage the Hyper-V VMs. Within Docker for Mac, the Docker engine runs in an Alpine Linux distribution on top of a Mac xhyve (pronounced “x-hive”) Virtual Machine. BTW, The Alpine Linux distribution (distro) is so small that there is an edition of it for the Raspberry Pi. Installing Docker on an existing installation of the operating system. Spin up a server with Docker Machine which auto-installs Docker. NOTE: Docker Cloud supercedes Docker Machine. The Docker installation package available in the official CentOS 7 repository may not be the latest version. To get the latest and greatest version, install Docker from the official Docker repository. Userid     : "Docker Release Tool (releasedocker) <docker@docker.com>"
libsemanage.semanage_exec_prog: Child process /sbin/setfiles did not exit cleanly. libsemanage.semanage_install_active: setfiles returned error code -1. NOTE: By default, docker commands require root privileges. So commands need to be prefixed with Linux sudo. Jul 27 22:37:40 centos-512mb-sfo2-01 docker: time="2016-07-27T22:37:40.656780521Z" level=warning msg="Running modprobe bridge br_netfilter failed with message: modprobe: WARNING: Module br_netfilter not found.\ninsmod /lib/modules/3.10.0-327.22.2.el7.x86_64/kernel/net/llc/llc.ko \ninsmod /lib/modules/3.10.0-327.22.2.el7.x86_64/kernel/net/802/stp.ko \ninsmod /lib/modules/3.10.0-327.22.2.el7.x86_64/kernel/net/bridge/bridge.ko \n, error: exit status 1"
Jul 27 22:37:40 centos-512mb-sfo2-01 docker: time="2016-07-27T22:37:40.673905283Z" level=info msg="Firewalld running: false"
Jul 27 22:37:40 centos-512mb-sfo2-01 docker: time="2016-07-27T22:37:40.749552123Z" level=info msg="Default bridge (docker0) is assigned with an IP address 172.17.0.0/16. Daemon option --bip can be used to set a preferred IP address"
Jul 27 22:37:40 centos-512mb-sfo2-01 docker: time="2016-07-27T22:37:40.812028054Z" level=warning msg="mountpoint for pids not found"
Jul 27 22:37:40 centos-512mb-sfo2-01 docker: time="2016-07-27T22:37:40.812680271Z" level=info msg="Loading containers: start." Jul 27 22:37:40 centos-512mb-sfo2-01 docker: time="2016-07-27T22:37:40.812815226Z" level=info msg="Loading containers: done." Jul 27 22:37:40 centos-512mb-sfo2-01 docker: time="2016-07-27T22:37:40.812841211Z" level=info msg="Daemon has completed initialization"
Jul 27 22:37:40 centos-512mb-sfo2-01 docker: time="2016-07-27T22:37:40.850984219Z" level=info msg="API listen on /var/run/docker.sock"
Jul 27 22:37:40 centos-512mb-sfo2-01 systemd: Started Docker Application Container Engine. NOTE: This only needs to be done once per instance. Upgrade your Windows 10 to the Anniversary Edition update or later. Spin up a standard AWS Linux 2 EC2 instance. Log out and log back into your EC2 instance so ec2-user can assume the new permissions. These instructions apply to Docker running within all operating systems. Open a Terminal shell window. PROTIP: Some Docker commands work without the Docker daemon running. The “experimental” in previous versions has been removed. PROTIP: A Windows Server Docker image runs within a Linux Docker instance on a Windows 10 machine. Strange but true because Docker makes use of Linux drivers. PROTIP: The most detailed status is obtained using the info sub-command, which requires the docker daemon to be running. If you don’t have a Docker account already, Sign-up for an account and click the “Confirm your email” button in the email with subject “Please confirm email for your Docker ID‏”. Link Docker Hub to your GitHub account. Click on your photo at the upper right. Select Settings, “Linked Accounts & Services”. If you’re already linked, an “Unlink” appears. Proceeding as if there isn’t. CAUTION: Selecting “Public and Private” means Docker can see ALL your private repositories. PROTIP: Open a another set of GitHub and Docker accounts based on another email account to work only with public-facing repos for this exercise. At the top menu, pull down the Create menu to select “Create Automated Build”. Click the Github button. NOTE: The above is covered by a segment in this Pluralsight video. Type in a short description and click Create. Notice that, to Dockerhub, “target” isn’t a URL but an account name. Copy and paste the command above. CAUTION: The credential helper is used whenever it is discovered on $PATH, not only if config.json “credsStore” value declares it. Open Apple’s Keychain Access.app within Applications Utilities. PROTIP: Using STDIN prevents the password from ending up in the shell’s history and log files. You should see your user name reflected. PROTIP: TODO: Advanced users create a .dockercfg file. On Linux, the credsStore is populated with the string secretservice. PROTIP: Other auths can be added. Installing Docker gives you not just the Docker service (daemon) but also the docker command line utility, or the Docker client. UCP enables you to control Docker environments through a web interface. It’s part of Docker’s Enterprise offering. Docker UCP is used to deploy to various cloud solutions, tie into your existing authentication infrastructure, and in turn control user access. Dockur UCP also provides specialized monitoring. PROTIP: Similar to Python, most people run commands within a Docker machine (which is the whole point of installing Docker). This section describes how to run a Docker image. You need to be logged into Docker Hub. PROTIP: Mac uses Ubuntu commands. Wait for “Pull complete” for all the dependencies. WARNING: The terminal prompt has changed because you are now inside the container. -it means iteractive and TTY, which provides you the terminal prompt. BLAH: If you are running this within a corporate firewall, you may need to obtain permissions and/or specify client network settings. The “centos” image contains CentOS with no apps installed. The “node” image contains CenOS with Node installed, but no custom Node apps. PROTIP: You won’t find Docker images on your local folder. See Where are docker images stored? PROTIP: Consider a third-party tool to display visualizations of image data: dockviz presents Docker image and container information in graphic form to help you understand what’s going on inside the system. ImageLayers.io is an Adobe Flash site that shows how each command in Dockerfile contributes to the final Docker image, and discover which layers are shared by multiple images. It presents an ImageLayers badge about the size of an image, and how many layers it is composed of. Before pulling Microsoft’s images from https://hub.docker.com/u/microsoft/ note they are designed to be used from “Windows Insider program” Windows Server or Windows 10 Container hosts. They are of “beta” quality. Widen the Terminal window so lines don’t wrap. https://github.com/codemy/dockerfile contains Docker images containing mysql and elasticsearch hosted at the quay.io private repository. BTW, a “quay” (pronounced “kee”) is a wharf where boats dock. 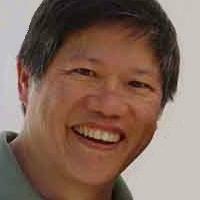 Sign in at https://quay.io/signin/ using your GitHub or Google credentials. https://quay.io/plans/ begin from $12/month for security scanning and geo-replication redundancy. In a Terminal, navigate to where you can add a repo. PROTIP: I recommend putting the Dockerfile for an app within that app’s repository rather than in a separate one. Turn your Wi-Fi back on because the rest of this tutorial assumes it. https://github.com/vimagick/dockerfiles has over 500 stars. https://github.com/veggiemonk/awesome-docker has over 7.9K stars. -d specifies running in detached mode so the container continues to run in background until stopped, but does not respond to commands run on the command line. -p means publish list: Publish a container’s port(s) to the host to set port mappings manually. PROTIP: Even though we are using the MySQL default port, if we don’t tell docker explicitly we want to map it, it will block access through that port (because containers are isolated until you tell them you want access). The “8000:80” means we’ll use http://localhost:8080. Fix the above by making sure you’re specifying the correct port (8000 vs 80). NOTE: The hello-world script contains an exit statement, so it automatically stopped on its own. However, other scripts, such as web services, do not exit on their own. Traditionally, the approach is to ensure the database is started before starting the applications that depend on it by using Puppet, Chef, Ansible, or other configuration management tool. TODO: Put startup-related code in a library for re-use. load configuration files if it exists, but fall back to sane defaults. Read environment variables to override configuration settings. Manage working directories inside the application. If they are missing create them. Retry the database connection, using some sort of backoff, and log errors along the way so alerts can be sent out. This “defensive programming” code is the “optimistic” approach. It’s usually a transient problem. At some point the database will come online. Docker does have different security requirements which can seem to be a hindrance. Security can be integrated but it does require knowledge of the Linux container environment. ”–publish” forwards port 3000 on the host from port 3000 in the container. “bash” is the command issued in the container when it becomes active. Alternately, “ruby /app/hello_world.rb” would invoke a ruby program. NOTE: You can’t run docker commands on this prompt because you’re inside. PROTIP: In Linux the ps command is for processes. In a way, that’s what Docker containers are, a process. PROTIP: Customize the layout by specifying a memory variable containing format template using tabs and line breaks. PROTIP: Whenever an attempt to provision a Dockerized host using Docker Machine fails, or Docker Machine crashes, some diagnostic information is sent automatically to a Docker account on Bugsnag. NOTE: Docker deprecated the Boot2Docker command line in favor of Docker Machine. Now do whatever you need to do here. PROTIP: Those who use this a often create aliases to limit typing. For example, “dmon” for the above command. 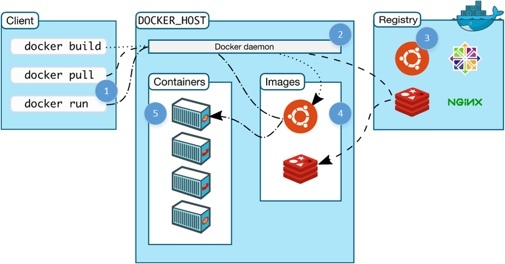 Docker Machine provisions Docker on virtual machines that reside on local or on a cloud provider. NOTE: Docker Machine makes it easy to provision and manage multiple Docker hosts remotely from your personal computer. ssh     Log into or run a command on a machine with SSH. 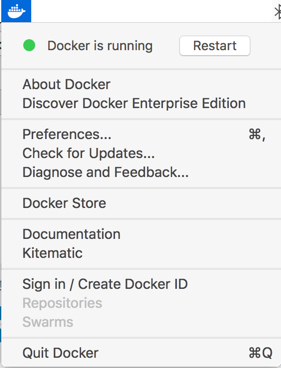 Using your Mac’s Finder, look in your Applications folder for a Docker folder. In there is a Docker Quickstart Terminal. You can also invoke it by typing on the Mac’s Search box. The above command refers to Dockerfile and compose.yml files. curl -v http://$DOCKER_HOST  # visit in your browser. Docker Swarm creates and manages clustered (pool of) Docker servers. It scales containers by dispersing containers across multiple hosts. Installing Docker Swarm launches a container that is used as the Swarm Manager master to communicate to all the nodes in a Swarm cluster. Docker is not designed for SSH to “get inside” a running image. You don’t need SSH to restart the process, tweak configurations, debug with gdb, strace, etc. Google’s Intro to Docker Qwiklab include 40 minutes of FREE cloud instance time after you click “Start Lab”. And you get a certificate for your resume. Moby Project includes all of Docker’s open-source efforts under one umbrella project. https://github.com/StefanScherer/dockerfiles-windows You can do this on Windows as well today with the Windows 10 1607 or Windows Server 2016 using Windows Containers. Docker setup was published on July 28, 2016 .